Our Rugelach cookies are made from scratch when you place your order. 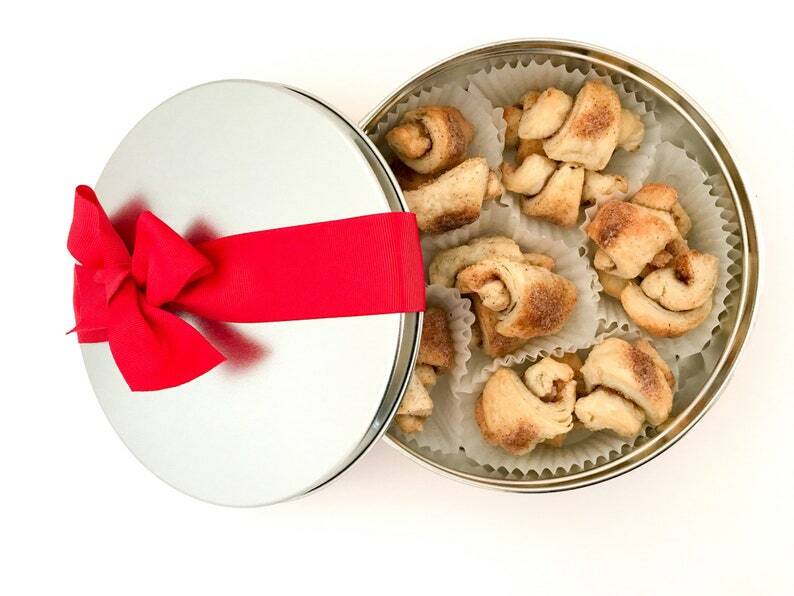 These hand-rolled, flaky crescent cookies contain a layer of cinnamon sugar rolled into the middle. Made from a third generation family recipe, these cookies are sure to become a favorite. We use only the finest ingredients and make all our products by hand in small batches. Approx. 18 Rugelach cookies (about 10.5 oz) in 7 3/16" diameter cookie tin. Cookies are approx. 2 1/4".